The Handspinner Spotlight is an opportunity for me to share with all of you some of the amazing handspinners out there in our community. It is an opportunity to see some of their work, as well as start to get to know a little bit about who they are and what brought them to spinning. This month I have the pleasure to introduce Tiffany, who I continuously bumped into on Instagram for a while before we started chatting more and more. 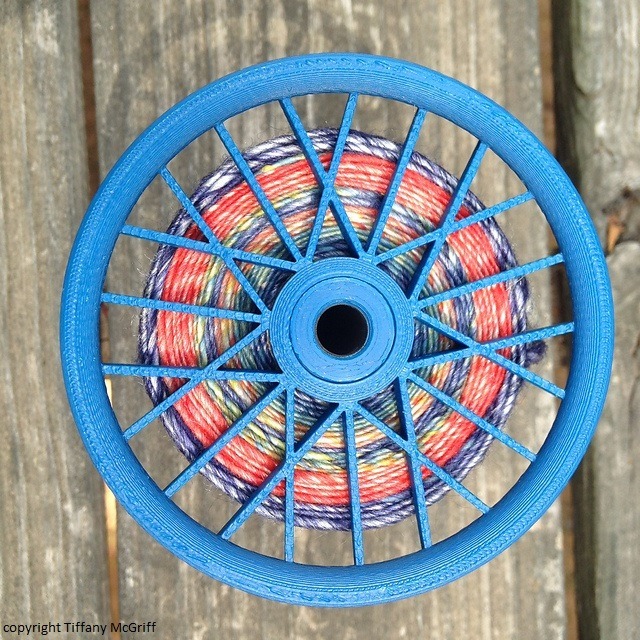 She posts inspiring photos of her spinning, along with bobbin shots, handspun knitting and weaving. She is an inspiration every time her photos coast past on my feed and I always stop scrolling to have a look! As a side note, her little family just added a new babe so many, many, many CONGRATULATIONS to this Handspinning Mom! Hi I’m Tiffany McGriff and I’ve been a part of the fiber arts community since 2002 when I first learned to crochet from my Grandmother. Since then, I have pursued expanding my knowledge into different crafts, first teaching myself how to knit then spin, tat, weave, and most recently I have started sewing again. My husband has continued to enable my craftiness throughout the years and now we have two little ones who I enjoy making stuff for! 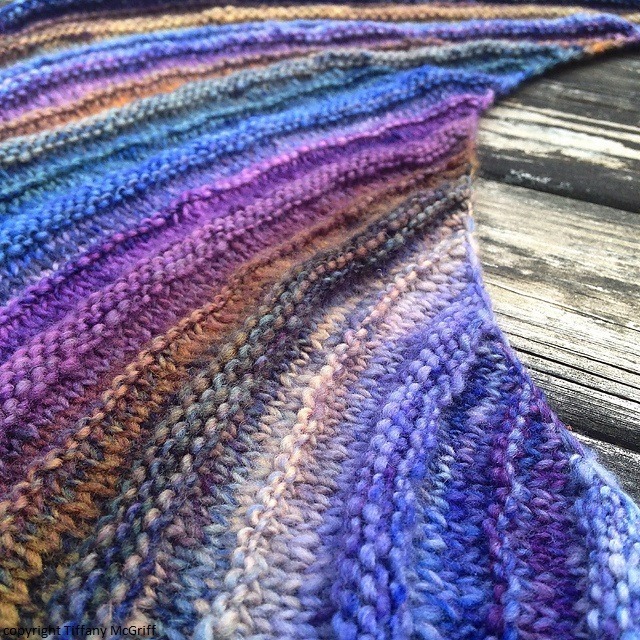 After joining Ravelry in 2010, I started looking for a knit group to join as I had only my family to share my passion with. The first night I went out to meet with a group, it was at the house of one of the members who had spindles and a couple of spinning wheels. She offered to teach me about spinning and after attempting a little bit that night it took a few months before I decided this was another craft I wanted to get into. Soon I had bought myself my own spindles to practice with and by the end of 2011 I had my first wheel. 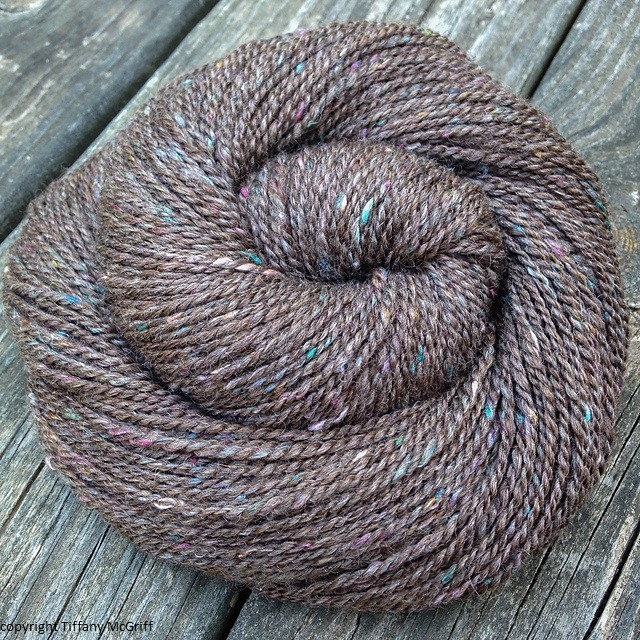 My default yarn tends to be a worsted 2 ply sport(ish) weight yarn, though I love spinning, finishing, and knitting singles. I have to work extra hard to make art yarns because I’m usually in so much control of my spinning it’s hard to let go and accept the ‘imperfectness’. 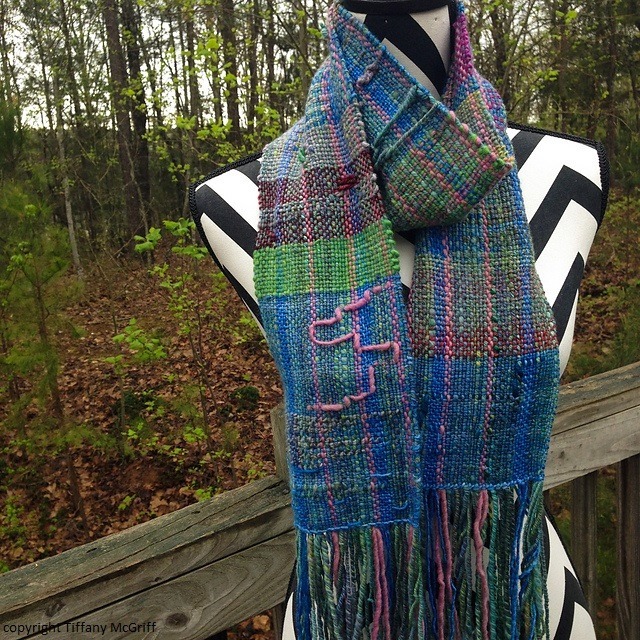 I was lucky to take one of Jacey Boggs’ classes in 2012 where I learned that it takes technique and practice to make a well made art yarn! Vary rarely do I start with a project or specific weight in mind and spin for the project. Spinning is a relaxing hobby for me and I usually spin what speaks to me from my stash. 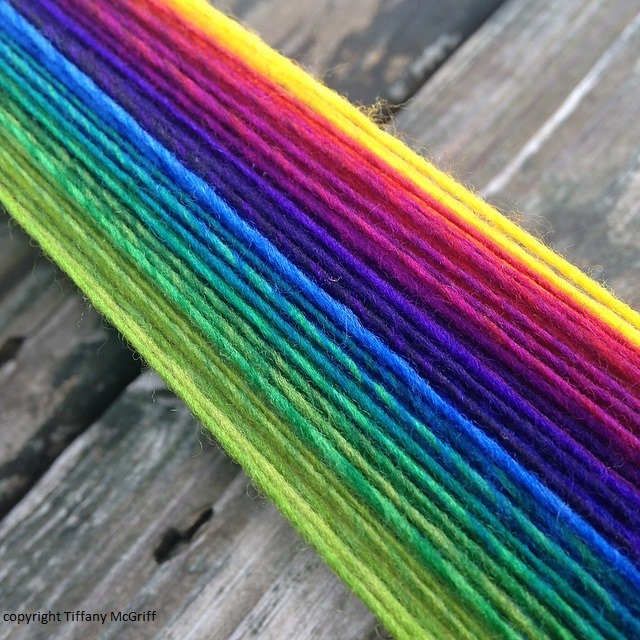 I do try and vary up my spinning, so if I did a 2-ply as my last skein, my next skein will probably be a singles, chain ply, or 3-ply; if I just spun a neutral or semisolid braid, I may go with a rainbow or a high contrast braid next. The best way to learn about your spinning or get better at spinning is by spinning. I love watching new spinners during the Tour de Fleece because you see so much progress by spinning as little as 10-15 minutes a day over 23 days (counting the rests). 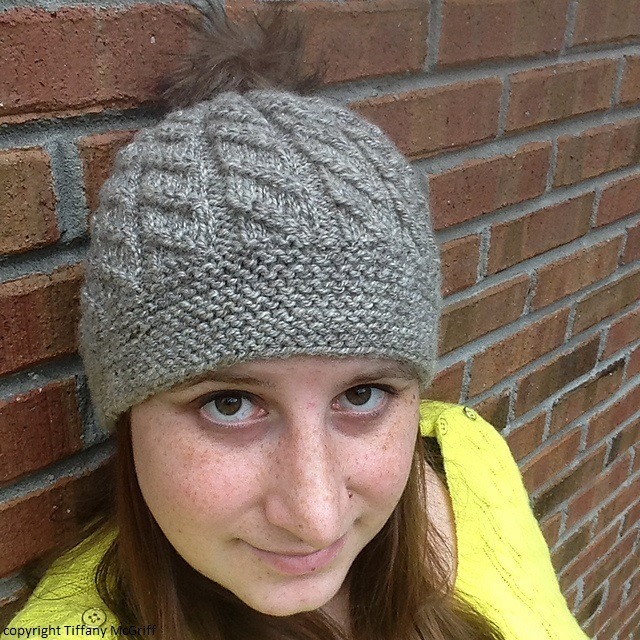 You can find me on Ravelry and Instagram as Hitchhikergal! 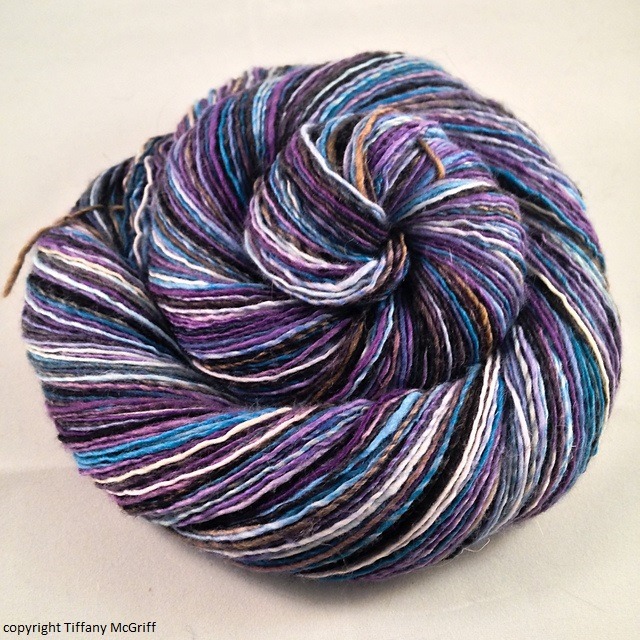 Thank you so much, Tiffany, for taking the time to write about your spinning in the midst of the newborn haze!